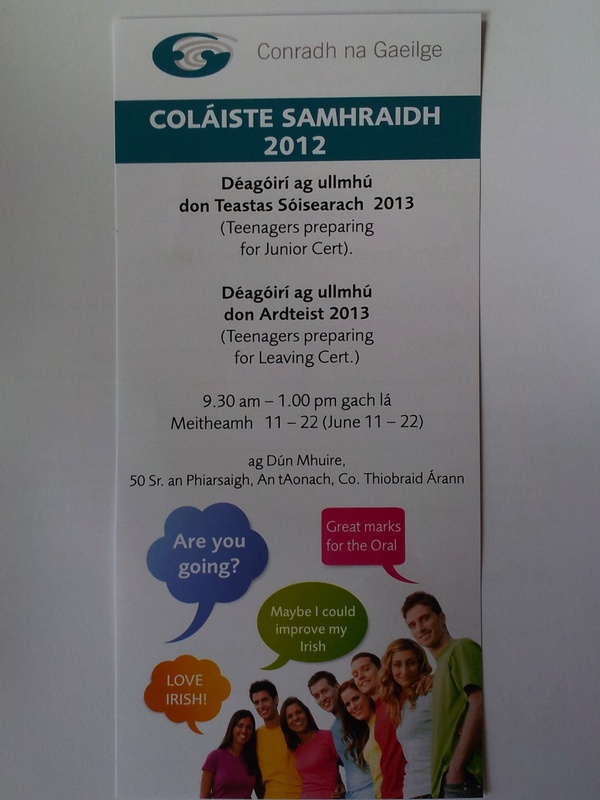 Cúrsa Samhraidh – Activity based Summer Camp through Irish for children aged 5 – 14 years. The aim of the course is to help students improve their fluency in oral Irish through drama, games, music, classes and art. 11-22/6/2012 9.30-1.00 gach lá @ Dún Mhuire, 50 Sr. an Phiarsaigh, An tAonach, Co Thiobraid Árann.